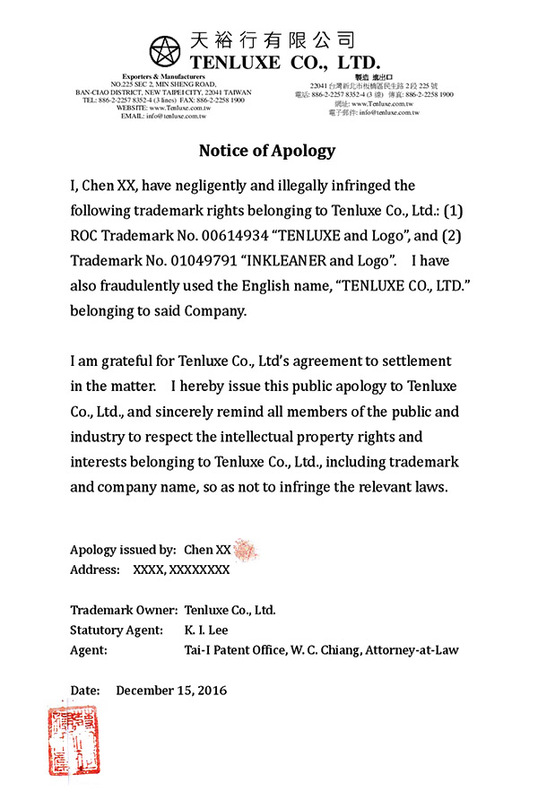 The trademarks of Tenluxe Co., Ltd. (Party A) were infringed upon by Wu (Party B) and Chen (Party B). 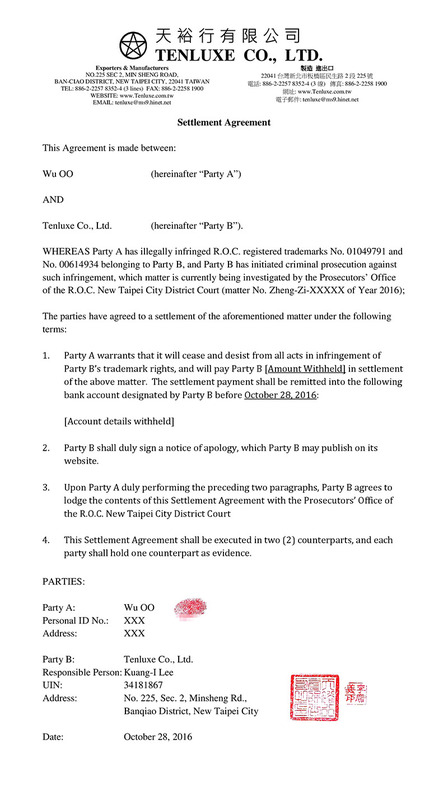 Prosecution was launched by the District Prosecutors Office after an investigation. Due to privacy protection laws, some of the text have been redacted. 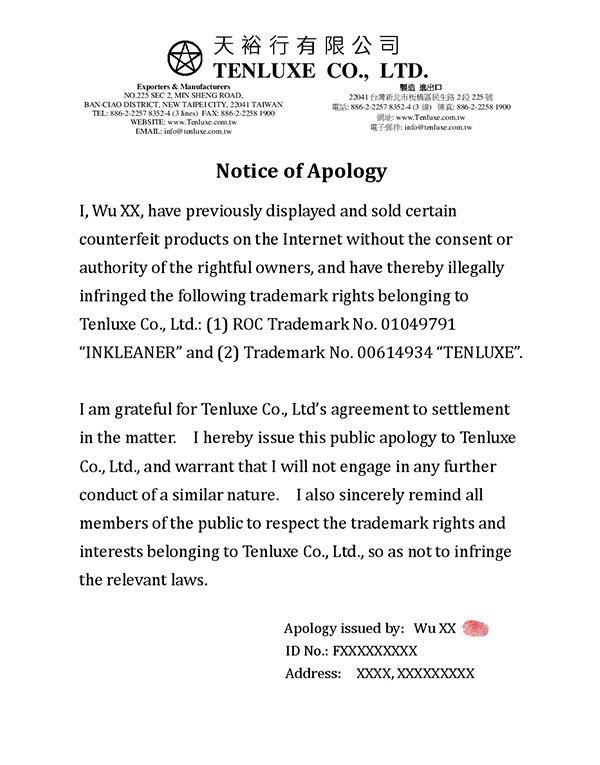 The verdict (an abstract is provided in Attachment 5) for trademark infringement was issued on March 20, 2018. *Trademark infringements have criminal and civil liabilities.